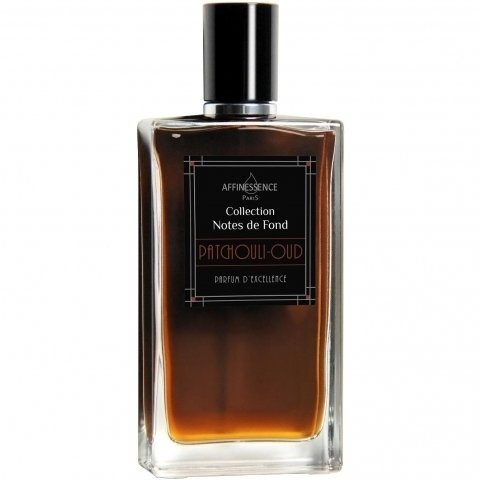 Notes de Fond - Patchouli-Oud is a perfume by Affinessence for women and men and was released in 2015. The scent is earthy-spicy. It is still in production. 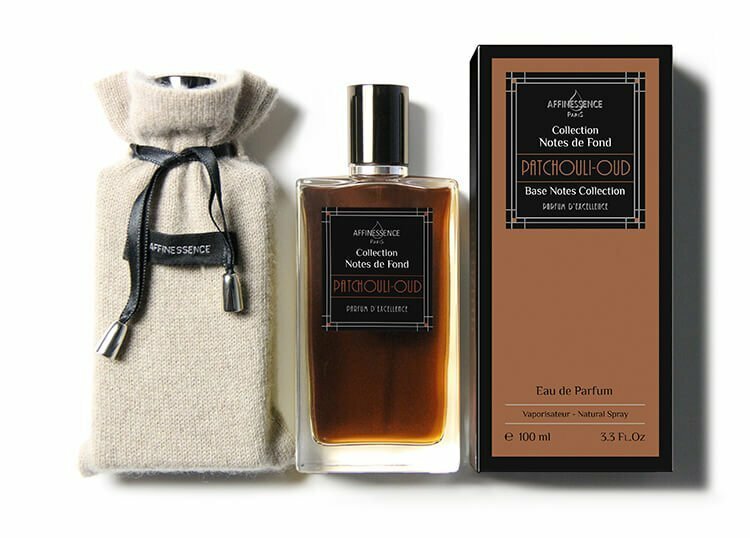 At first one can perceive an intensive and heavy dark woody note, which brings something quite discreetly sweet lacquer-like with itself and is to be owed to the Oud. But the sweet lacquer-like association can only be perceived for a few seconds and gives way to the dark woody note, which for me smells of old used oak and mahogany wood and seems fascinatingly cold and warm at the same time. Only a few moments later a strong earthy note is added, which reminds me a little bit of rain-soaked earth and brings along a neat spice and the scent gets a very engaging depth and I tap on Indonesian patchouli here. These two notes are supported by a very light sweetish bitter note, which in my opinion is responsible for the wonderfully rounded start and comes from the Java - vetiver. A very discreet citric peppered, ethereal nuance can be perceived far in the background, which harmonizes very pleasantly with the other notes and creates a beautiful overall fragrance and comes from the Elemi resin. Some time later the scent becomes pleasantly illuminatingly resinous thanks to the incense, which after this engaging depth works like a liberation blow, since the scent still has a certain heaviness, but now seems lighter and I really like this scent composition very much, because with the scent a somewhat more intensive discussion must take place, because otherwise you can do it, or it cannot do justice to you. The incense is accompanied by a warming, very light balsamic nuance, which ensures that the scent gets something invitingly clear and soft and I attribute to the cistus and labdanum. In the last 3 hours a fine, almost transparent floral, very discreet woody nuance is perceptible, which looks very dense and I typed on rosewood and tobacco instead of guaiac wood. The guaiac wood is surrounded by a fine mossy note, which provides for a beautiful clearing end and is to be owed to the tree moss. In total the scent holds 8.5 hours on my skin. I would like to express my sincere thanks to our perfume "Verbaplex" for the sample. Write the first Review for Notes de Fond - Patchouli-Oud!